Ochre is the color of our earliest stories. It is the color we chose when we wanted to make paintings on the walls of caves, in places that never did learn the name of sunlight. By the grace of small fires we etched in ochre; we coughed at the smoke in a confined area but also the absurdity of things we would later call warmth and light and home. Ochre was the color that permeated our lives, slipped into our fingernails, found its way onto all our clothes, our bedspreads, and the skins of lovers. There is evidence of ochre in caves dating back twenty centuries BC: horses and bison and traces of human hands. The places we have touched, tried to remember. Our tongues made middens of ochre even when we couldn’t see. 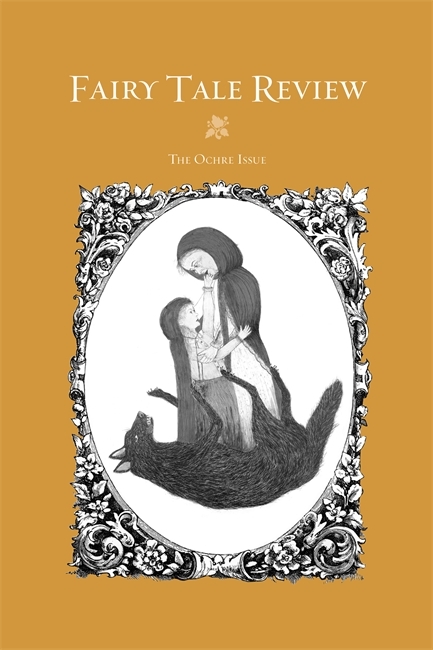 If fairy tales are a language, as Kate Bernheimer argues, then...ochre is the color in which that language must be written.